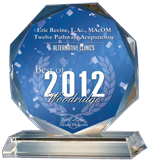 Know your Acupuncturist, Eric Recine L.Ac, is a specialist in the field and a graduate of the #1 Acupuncture school in the nation: OCOM. Discover the power of Oriental Medicine and Acupuncture close to your Naperville, IL home! Here you will find solutions for modern ailments using effective non-invasive ancient traditions. Oriental Medicine and Acupuncture is a Traditional Medicine that has been around for over 4,000 years. The World Health Organization officially recognizes Acupuncture as suitable treatment for over 200 common clinical disorders. The National Institute of Health estimates Acupuncture has been used by over 9 million Americans and the numbers are rising rapidly. 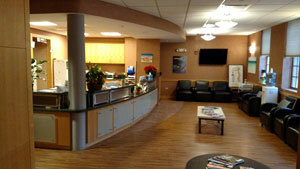 The most likely reason is that Acupuncture is non-toxic, very safe and can be extremely effective. Twelve Pathways Acupuncture serves the Naperville, IL and surrounding communities including: Woodridge, Hinsdale, Lisle, Downers Grove, Bolingbrook, Glen Ellyn, and surrounding suburbs with the highest quality Acupuncture Treatments available. 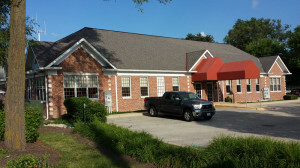 Naperville IL Acupuncturist, Eric Recine, is a specialist in the field of Acupuncture and Oriental Medicine. He will search to find and treat the root cause of your ailments, rather than focusing on just the symptom. This is done by creating a step-by-step program that addresses your complaints and concerns, specifically designed for you and your body, utilizing very safe and powerful non-toxic modalities derived from Traditional Medicine. Acupuncture and Oriental Medicine will help empower you and your body to promote healing, eliminate/reduce your pain and optimize your health. 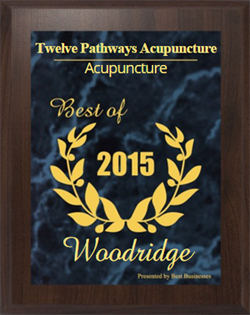 Eric believes there is no separation between mind and body; therefore, the greatest health benefit is achieved when both are in harmony.” Contact Eric Recine of Twelve Pathways Acupuncture in the Naperville, IL area and improve your health today!